How times have not changed. 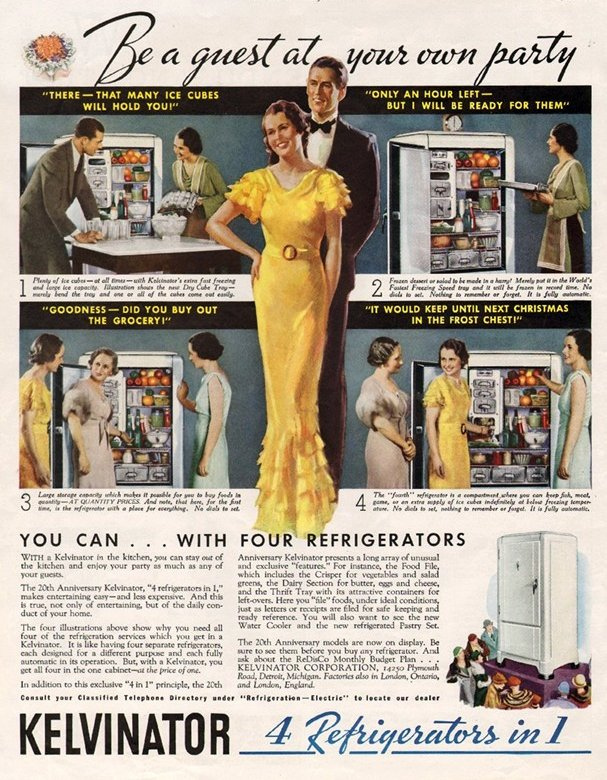 Nearly 80 years after this ad was published, I'm struck by how Kelvinator tapped into what must be a universal constant: the gap between hostess and the hosted. 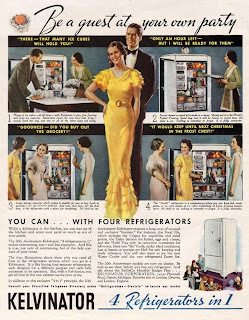 Although the fact that the features of this fridge seemed to draw guests into the kitchen—rather than liberate the lady of the house from that room—seems a little bit self-defeating, let's let it slide. One rather poignant note: In 1934, the effects of the Great Depression were still acutely felt; the 'Thrift Tray', with its 'attractive containers for left-overs', was an important asset of this appliance.